It is difficult to measure the value of a Jewish education in numbers or in charts. How do you quantify a child's smile when he shows his mother the clay menorah he made? How do you evaluate the pride a man feels when his granddaughter recites the "Shema"? How do you measure the warmth of Shabbat candles lit by your own teenager? Yet, many studies have demonstrated the tremendous impact of a day school, Hebrew school, Jewish camp or trip to Israel on fostering Jewish identity. There is a general consensus that each activity, in its own way, brings Jews closer to our collective roots in both history and Torah. All these formal and informal educational activities share a common love and respect for our common ancestry, history, religion, and culture. As a community, Jews share and embrace the value of Jewish education and recognize the many forms education may take. To that end, the Jewish Federation of Greater Charlotte supports a wide variety of educational opportunities, enabling individuals and families to discover for themselves how best to learn about our heritage and foster identity and affiliation with Jewish communal life. The Jewish Federation is proud to provide scholarships and special grants for all types of educational initiatives enabling parents to send their children to summer camps as well as to participate in Israel Experience programs. Nothing makes Jewish identity and history come alive for young people like an Israel Experience Program or a Jewish summer camp. Special thanks to Bill and Patty Gorelick and Harry and Gloria Lerner for their ongoing support and generosity. For an application or for more information, please contact Jewish Family Services, 704.364.6594. For more information, please contact CharlotteJCRC@Jewishcharlotte.org or 704-944-6757. Karen Klein found a deeper connection to Israel through the Federation-supported program Masa Israel Journey. Learn how it made a difference in her Jewish life. Programs like Masa and Taglit-Birthright Israel help connect young adults to Federation, Jewish life and Israel. 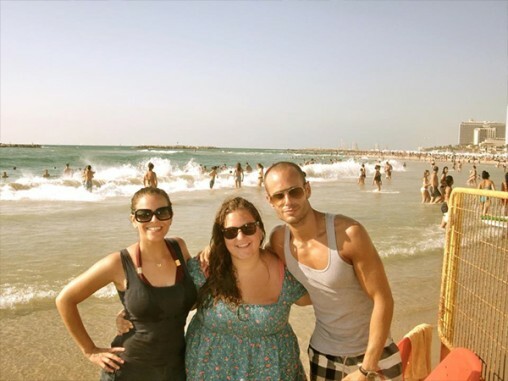 Through Masa, Karen found an internship in Tel Aviv--then stayed in Israel for three years. Masa helped Karen develop as a leader and as a Jew.